Home Education Cath Lab Course – What Do Patients Expect? If the desire is to become a successful cath lab technician, them it is important to know what the patients will expect. Equally is important to undergo the cath lab course only from a reputed college such as OSPMI. This is a reliable and prestigious college having been offering this course to aspiring students for a very long time. On completing the program, the candidates are offered with the much coveted certification. They are also taught about the cath lab program in details, which will help them in their future endeavors. There could be several reasons for the patient to undergo heart catheterization within a cardiac cath lab. It can be acute myocardial infarction, positive cardiac enzymes or abnormal stress test. Heart cath is likely to be the next step to be considered. Even if the procedure is of ‘routine’ or ‘scheduled’ nature, it could be somewhat a scary experience for everyone. It is the qualified, experienced and cooperative technician who can provide the patients with the necessary information. He will help them to be alleviated of their uncertainty and fear as to what is to be expected at the cath lab. Generally, pre-procedure tasks could be performed within the cath lab setting or the emergency department. Here, the patient would be evaluated and conducted with various pre-procedural tests. Some of them are 12 lead EKG, IV establishment, pre-procedural blood work and obtaining of procedure consent. After completion of the same, the patient is then taken to the catheterization lab. What is the Patient to Expect at the Cath Lab? This place can be really intimidating and overwhelming for those not knowing what is to be expected here. Several large equipments, tube, cables and monitors can be found placed here. It is the lab technician who will help the patient with the evaluation procedures and on supplemental oxygen and monitoring equipment. The patient’s vital signs would be continuously monitored during the whole procedure. The equipments will be prepared for the procedure. The cath lab technician’s role is important since he helps the physician to complete the procedure successfully. In case, problems are found, the physic would discuss about the different treatment options. 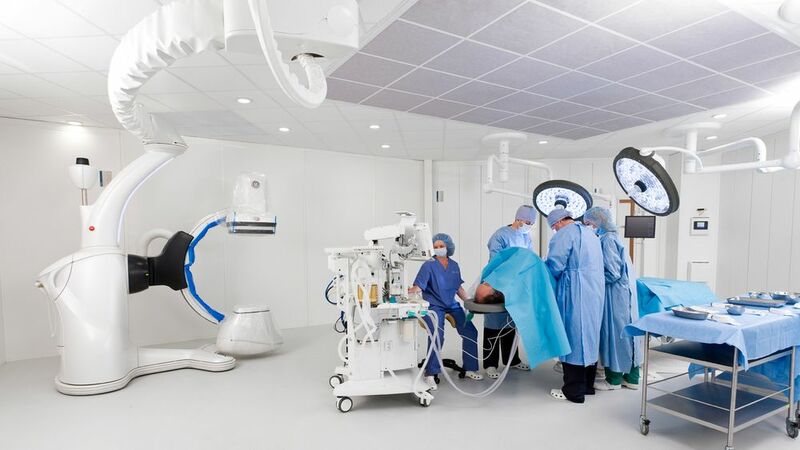 It might include surgical treatment, stenting of vessel, medication management etc. Besides helping the physician with the procedure and working with the lab related equipments and tools, the technician does play a significant role. He will provide instructions to the patient from time to time as to what is to be done and avoided. Even after the completion of the procedure, the technician will be monitoring the patients continuously. He will check for the vital signs and the access site. Since cath lab technician job is a highly responsible one, it is important for the aspiring candidates to join only the best colleges in the region like OSPMI. Only then will they be able to have a proper career and a certification that can help them to get to places. The role of the cath lab technician is an important one. Hence, he needs to have in-depth knowledge of the equipments and tools that are to be used during the procedure and correctly. How Hotels On Lake Windermere Offer A Luxurious Stay To The Customers?